Hi, Karen! Your virtual walkthrough Woodstock is lovely. Feels like almost being in that perfect and cozy atmosphere. I would love to go by and photograph Wednesday’s Market on the Green. I am a big fan of these types of events and they make for great images! I usually do that here in Brazil, but unfortunately Rio de Janeiro imports most of its agricultural products, so what we get seems very fake and not fresh. Hi Karen. What a lovely page. New England has always appealed to me as a part of the US I would like to visit. I’ve always been a fan of old architecture and the buildings in the photos look very interesting. The covered bridge is particularly interesting as there’s just nothing like that in my part of the world. Keep up the good work. Thanks for the kind comments, Mike. 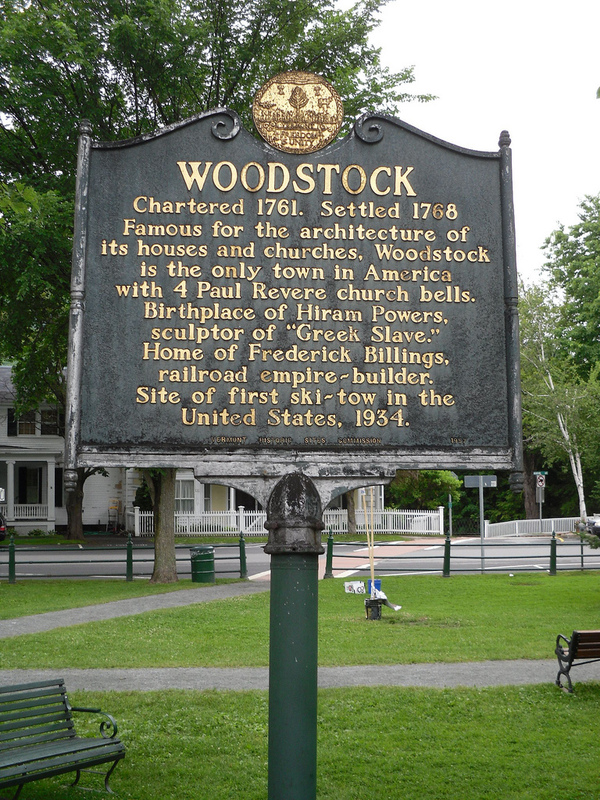 Woodstock does have a nice variety of well-preserved stone and brick buildings from the 1700’s onwards. The area also boasts a large number of old wooden covered bridges. In future posts, I will discuss and provide photos of many of these, as well as take visitors across to the north side of the bridge in Woodstock to hike on Mount Tom and explore the history and grounds of the twin National Historic sites of the Billings Farm and the Rockefeller estate. So stay tuned! Vicky, thanks for your comments. There are LOTS of covered bridges in the area. I’ll make a post in the future with a map showing where they are so visitors can conveniently make a self-guided tour of the local bridges. There are some really great ones close at hand and there’s even an annual “Covered Bridges Half Marathon” race!